Pattern is no longer available. Pattern designed by Jaimai and translated by Sayjai (K and J Dolls). Update: Unfortunately this pattern is no longer available in English or German. 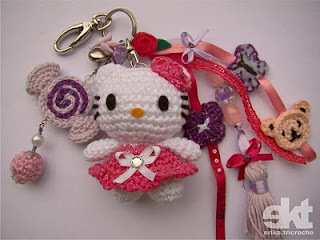 Legal representatives of Sanrio claimed it looks like Hello Kitty. She made the dress longer: she added 3 rows to it. The flower was a magic circle of 6 sc, then ch2, 3dc, 2ch, sl st into each st. Very nice, how did you traslate it from thay ? can you share any guide ? Lovely pattern! Been looking for one for a long time. I'm going to translate it for my sister into Swedish, would you like it too? Please go ahead and translate to Swedish. If you publish the Swedish: Please add a clear link at the top of the pattern to both Jaimai's website and kandjdolls.blogspot.com. Also keep the copyright notice at the bottom. Have a nice day and good luck with the translation. Love your patterns ideas and the craftsmanship.It is sure creativity and magical work.Where do you sell them? Also sometimes on e-bay. The links to the shops are to the right of my blog. Will add link and keep copyright when I translate. Not gotten around to it yet though! To translate from Thai to English you need a reference for the abbreviations. Compare my translations with the original one and you can see what the abbreviations mean. The pattern is complete. The upper body part is included. The body starts in row 5 of "Body and Legs". 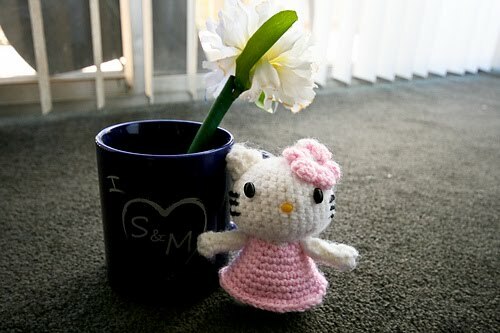 How did you crochet the flower for her head? The flower is not included in the pattern. It is a translation and the original pattern does not include a flower. You can add any flower or decoration you like. Thank you and have a nice day. We do not know anyone to translate this in French. Perhaps one day in the future. 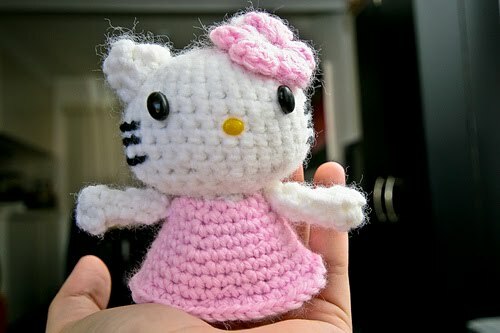 This is so cute, thank you for the pattern. It's lovely! But I find it hard to understand the pattern in English. A previous writer said she would translate it to Swedish, please say you have done it! If you have the Swedish translation then please send it to me and I'll publish it on this blog. (Sorry! Did not read your posting correct. Thought you had a blog yourself). Your posting is a long time ago and I hope you will read this. To Sushe: I do not have Tina's e-mail address and did not get the Swedish translation. 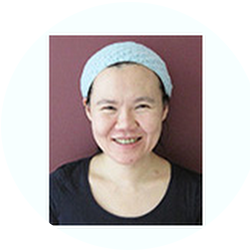 Thank you for kindly sharing this translated pattern with us! Would you allow me to translate your translation to Dutch? Please translate it to Dutch. Make sure you link to this blog and to Jaimai's blog. Let me know when it is translated and I link to your blog. 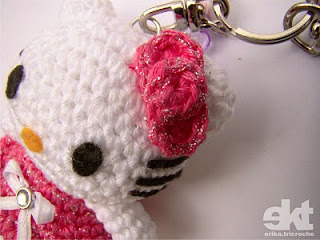 thanks for sharing the pattern.. im making a few in time for christmas.. hehe thanks again..
SOOOOOO cute!!!! Seriously no english pattern :(:( why :(((((( tear! The pattern is not available in English. Sorry! It says so clearly in the post by the way. I have made the head but it seems to big. What is the actual size? I`d like to know, do you know any english pattern for the dress? 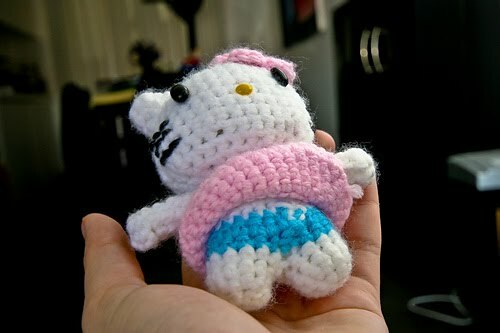 It looks like it has ruffle on it, and even though I can make the arigurumi, I`ve never done a body that has a dress. Ich habe mir so gut es geht die portugiesische Anleitung in Deutsch übersetzt, bis auf die Schleife habe ich alles glaube ich richtig verstanden, bei der Schleife kann man eh improvisieren. Please note that you cannot publish translations of my pattern without permission. 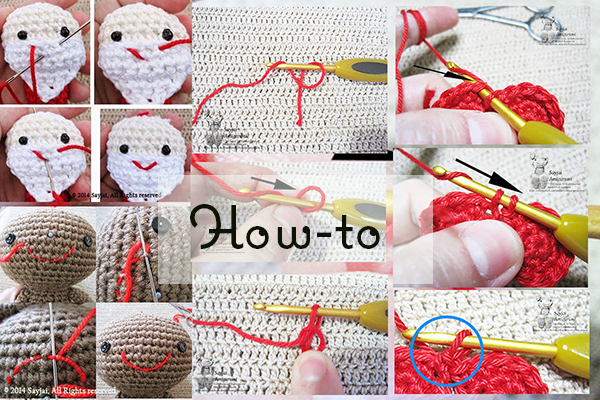 Though this is not my pattern: I translated it from Thai. In this case: please ask the original Thai designer first. This rug I made this week. It decorates my son's room. It took me about a day to make. 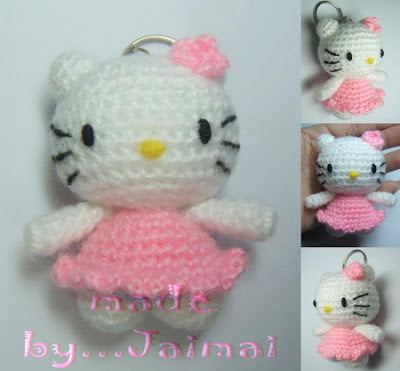 A cute pattern to create a teddy bear from Jaimai. 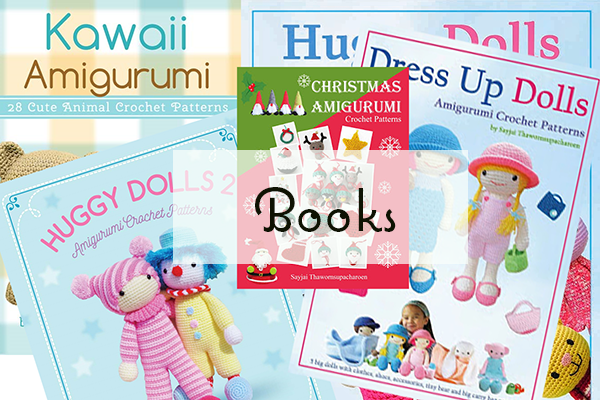 I publish my patterns as e-books, PDF downloads and paperback books. The e-books are very suitable for iPads, tablets, iPhones and Android smartphones: they are easy to read on small screens. Usually the e-books cannot be printed. If you like to print the pattern, then the PDF downloads are the best. The paperback books are the more expensive, but very beautiful. 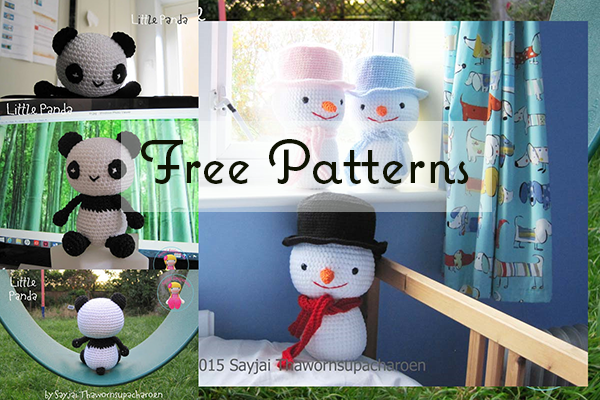 © 2018 Sayjai Thawornsupacharoen, Sayjai Amigurumi Crochet Patterns ~ K and J Dolls / K and J Publishing All rights reserved.